Made with Bitsy for the Bitsy jam (The Sublime). The yearning for a more exciting life is definitely something everyone has experienced before, I think. All the more beautiful I found the fact that with your game you asked what would come after all these imaginations and dreams. That made me thoughtful and then a little sad, but the wonderful ending made me smile again. 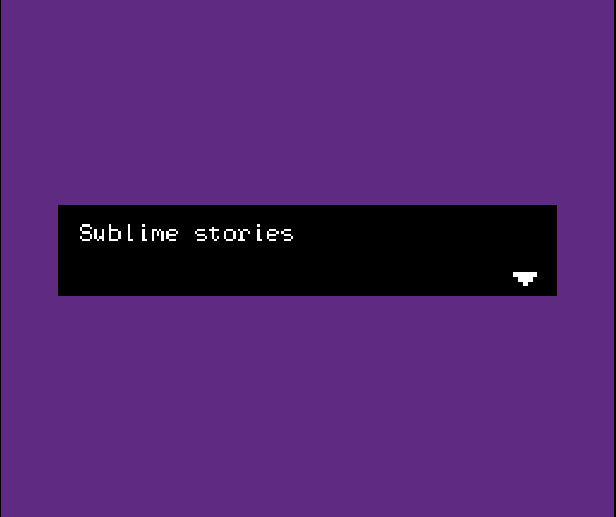 <3 A neat piece of work that I liked to recommend in our compilation article on this edition of the Bitsy Jam. :) One minute of gameplay can also be seen in the accompanying video. Keep it up! aww i really like the ending!